Verywestham: Dogged Sam Looks to the 'West Ham Way' with Transfer Coup!!! 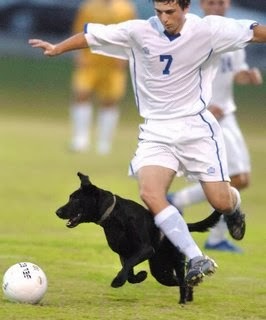 Dogged Sam Looks to the 'West Ham Way' with Transfer Coup!!! 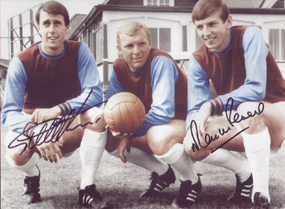 Of course it’s all Hurst-Moore-Peters when Hammers fans talk about how the 1966 World cup was secured for old Blighty, but as West Ham make a desperate bid to stop the slide towards the bottom of the table, their latest transfer window signing has allowed for a crucial capture that recalls the spirit of their finest hour in 1966. In an effort to find their lost form of last year, Allardyce has returned to the "West Ham Way" and has looked to the often- forgotten hero of the sixty six campaign by signing the services of none other than ‘Pickles’ the wonderdog who famously found the World Cup trophy after it had been ‘mislaid’ , thus saving a nation’s blushes! An elated Sam commented “this is just the pickmeup our lads needed, especially Kevin Nolan who has hardly contributed a screed since late November”, and continued, “Pickles will undoubtedly cheer everybody up, even our rubbish defence who have suddenly started giving away silly goals for fun - even to very average sides like Fulham in last week's disappointing and worrying defeat”. Meanwhile, Johnny Heitinga, the former Dutch International has rejected West Ham's offer to rescue him from Everton's bench as he realises that he would be highly unlikely to retain his place once any of West Ham's regular centre backs become available again. In the interim, Pickles, who was brought in principally to be a club mascot, may need to fill one of the vacant centre back berths in the leaky Hammer's defence. Meanwhile, up front, the transfer situation remains bleak due to the lack of availability of a backup striker of true Premiership pedigree. where's pickles from - Barking by any chance?